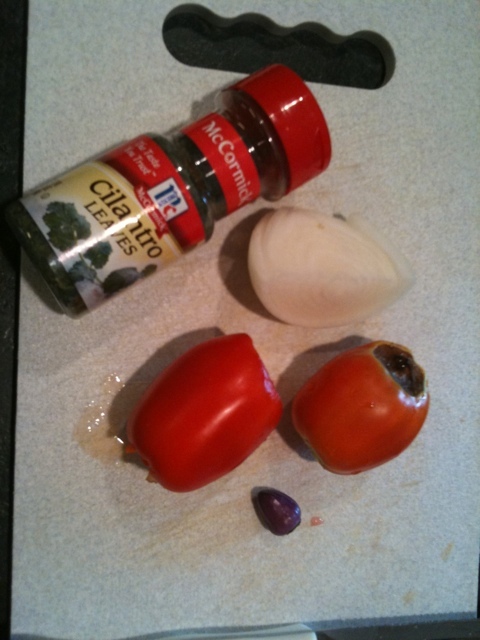 Fresh salsa from the garden is one of my favorite ways to use up the summer bounty of tomatoes and peppers. I do wish my cilantro in the garden had made it, but for now I’ll make do with packaged. This amount of salsa is good for a small snack for 2 people. 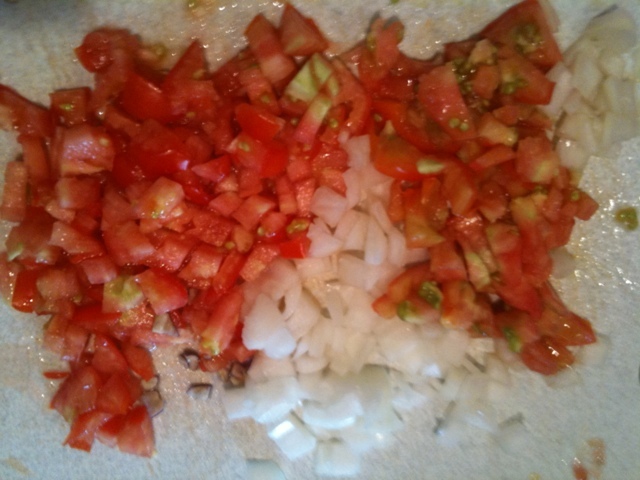 Cut the tomatoes, onions and pepper into small dices. 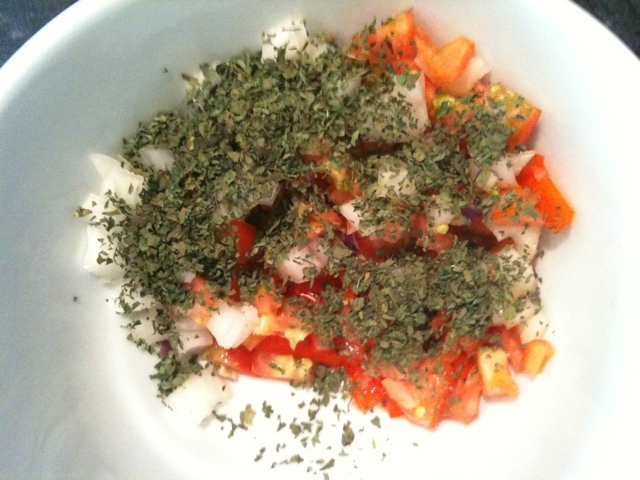 Place in serving bowl and sprinkle cilantro and salt over the top. Looks absolutely yummy!! Will be trying this for dinner tomorrow night!! Can this recipe be canned? 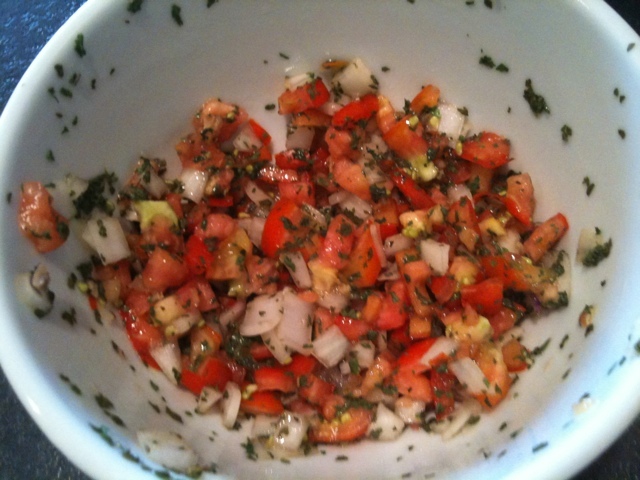 I want a fresh garden salsa like this (less “saucy”) and trying to figure out how to can it. Liz – I haven’t tried to can it because we eat it too fast. But as our summer season is winding down I’m wondering about this same thing. I will do some more research and hopefully have a post about it soon!